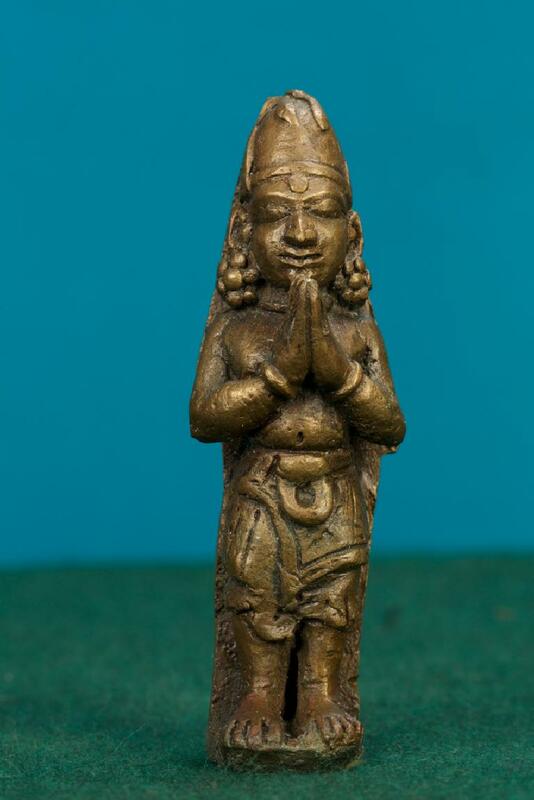 This is a well-designed miniature figure of a devotee in anjali pose. The Devotee wears a conical cap and floral design earrings. It appears that the Devotee is in deep prayer.